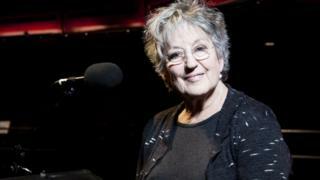 Transgender women are "not women", Australian-born academic and writer Germaine Greer has said. Her comments were made in response to a petition asking Cardiff University to cancel the author's lecture. Ms Greer is due to speak in a lecture called Women & Power: The Lessons of the 20th Century. By Friday, more than 200 people had signed an online petition calling for the university not to host the lecture, which is an annual event in memory of former deputy vice-chancellor Hadyn Ellis, who died in 2006. Ms Greer told BBC News: "I was going to talk about women and power... because I think there is a lot of triumphalist talk that masks the real historic situation. "And apparently people have decided that because I don't think that post-operative transgender men... are women I'm not to be allowed to talk." She also claimed that "a great many women" who are not transgender think transgender women - who she refers to as "male to female transgender people" - do not "look like, sound like or behave like women". Ms Greer did say she would be prepared to use female pronouns when referring to someone, if that was their preference, "as a courtesy". Media captionGermaine Greer has said that in her opinion transgender women are "not women"
On Friday, the university's vice-chancellor Prof Colin Riordan said it does not condone "discriminatory comments of any kind". "At Cardiff University we work hard to provide a positive and welcoming space for LGBT+ people and we are in consultation with student and staff groups to ensure that the views of LGBT+ people are represented at our events", he said. While the statement on the petition web page does not cite examples of Ms Greer's alleged anti-transgender views, it accuses her of "continually misgendering trans women and denying the existence of transphobia altogether".